What’s the deal with gluten? Is the whole gluten free thing just a trend, fading out of the limelight as quickly as the Unicorn Latte (ok, maybe not that quickly)? Or is there something actually to it? Are there real health benefits to be gained by dropping this protein (found in wheat, rye, spelt, barley and other grains)? You’ve probably heard of Celiac Disease, or gluten intolerance, and assume that if you don’t have it, then you can fly under the gluten-free radar. But this is proving for many not to be true, as gluten sensitivities exist and can lead to suboptimal health without a full-blown Celiac diagnosis. But if you feel like your health could use some fine-tuning, start with your diet. It’s your foundation, your fuel and the key to optimal health. Cutting out refined and processed foods is of course a good start, but a massive and growing pool of research (and peoples’ experiences, mine included) have shown that a gluten-free (and more expansively grain-free) approach to food can jumpstart healing. 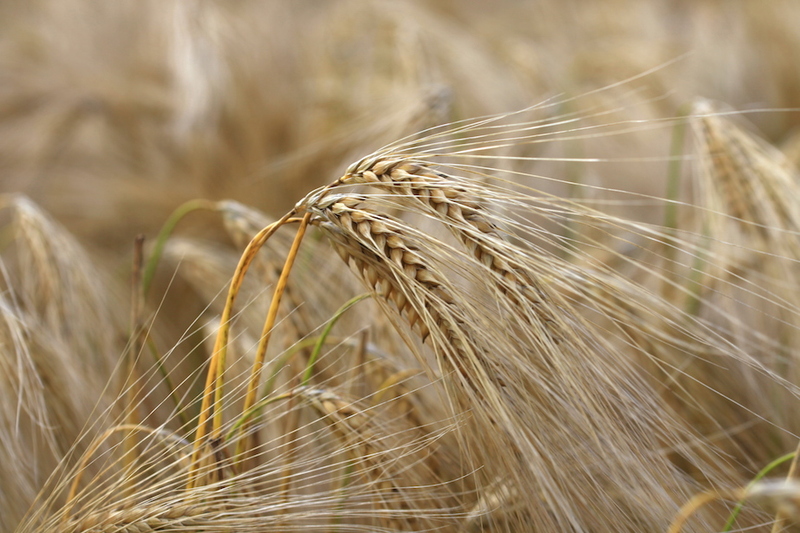 Gluten is a type of protein found in a variety of grains like rye, barley and spelt, but wheat is by far the most ubiquitous. We hear about gluten a lot today, but why is that? Why does it seem like it’s a buzz word that’s only taken root in the last couple decades? Is gluten a new thing? In some ways, yes, because gluten (and our modern method of processing it with pesticides like glyphosate) is a newer introduction to our food supply. In Paleolithic times, which encompassed most of humans’ history on earth, people were hunter-gatherers. This means that we ate what we could kill or forage for, including animals, nuts, leafy greens, seeds, and berries. This is what our bodies were used to. When farming became more common (which was only ten generations ago), people still ate with the seasons and rotated grains and crops. But then the field of agriculture expanded and humans learned to process and store grains. This made it easier to eat wheat all year round and in high quantities. At that time, humans were still eating ancient forms of wheat (einkorn and emmer), which had different genes and different gluten than the wheat we eat today… We were never meant to eat processed wheat with super-concentrated gluten several times a day, 365 days a year. Learning to Understand Ingredient Labels: In general, processed and packaged foods are notorious for containing gluten. Ingredient labels might list “wheat flour”, making it easy for you to rule out a purchase; however, gluten can go by other names on labels like hydrolyzed vegetable protein, modified food starch, vegetable protein, and even the vague ingredient “flavorings”. 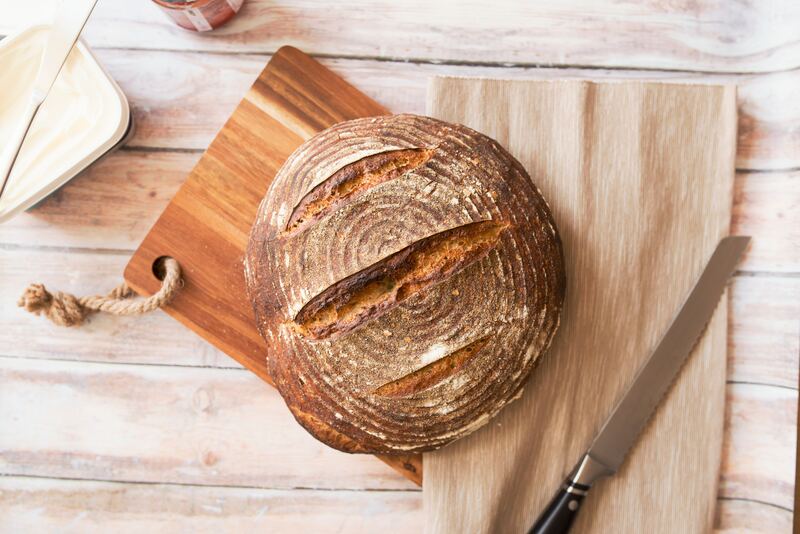 Stay tuned for a follow-up article from The Wildery with an easy-to-read Guide to Gluten, and tips on how to avoid even hidden sources if you do suspect gluten sensitivity. Gluten sensitivity very simply means that your immune system negatively reacts to the presence of gluten. Consuming gluten can cause a condition known as intestinal permeability (or “leaky gut”), which leads to a cascade of systemic (body-wide) health issues by over-stimulating your immune system. Intestinal symptoms of gluten sensitivity are more obvious: abdominal pain, bloating, nausea, reflux, and/or abnormal bowel habits. Check out the Bristol Stool Chart for a personal health assessment, and remember that 2-3 bowel movements a day is ideal. Extra-intestinal symptoms of gluten sensitivity are harder to pinpoint: skin problems (like eczema or rashes), fatigue and “afternoon slumps”, brain fog or mental disturbances, joint pain or generalized pain, vitamin and mineral imbalances due to an impaired ability to absorb nutrients in the gut, autoimmunity, and more. The best way to determine if you’re sensitive to gluten is simple: remove it from your diet for at least one month, ideally closer to three months, and note any improvements or changes in your symptoms and wellbeing. The Glyphosate Theory: If you follow nutrition headlines, you’ve seen that more recently, glyphosate (a pesticide used widely in farming) has been labeled as the primary culprit behind the surge of gluten-associated problems. Glyphosate is the active ingredient in Monsanto’s Roundup and is recognized as one of the world’s most widely used weed-killers. But what is especially concerning is that it’s also used extensively on mass-farming crops like wheat, oats, and legumes right before harvest. the Nutrition headlines have recently named the toxin glyphosate (widely used in farming as a pesticide). Researchers have demonstrated that eating gluten-containing grains results in an increase in the level of the protein zonulin. This happens in everyone, whether or not they have celiac disease. As zonulin levels rise, the seal between intestinal cells is dissolved, creating spaces between cells that allow antigens to pass through. The immune system then mounts an attack on these antigens, leading to food sensitivities, inflammation, autoimmunity, and cancer. Given that there is no clear definition of gluten sensitivity, or a good way to diagnose it, the only true way of knowing is by eliminating gluten temporarily from your diet, then reintroducing it to see if you have symptoms.